New for 2019 – Viewpoint Productions has launched its new Video on Demand service powered by Vimeo. The button at the end of each film description will take you to the VOD page for the title. Here you can watch the trailer, see a full description and choose to ‘Rent’ a documentary film for a limited period or opt to stream the title as many times as you want indefinitely. All you need to do is open an account, (as with any streaming service) and after that you’re a few clicks away from watching films of your choice when you choose – It’s as easy as that! Running Time approximately 98 minutes. 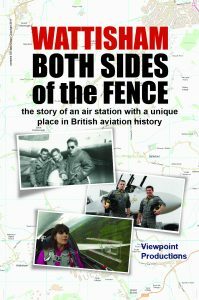 Wattisham Air Station has a unique place in British aviation history. It was from here aircraft made the first bombing raid of the Second World War. It became a strategic base for the US Army Air Force in 1943 and played a vital role in the defence of the west during the Cold War era. Today, Wattisham is home to Britain’s Apache Attack Helicopter squadrons. Running Time approximately 53 minutes. 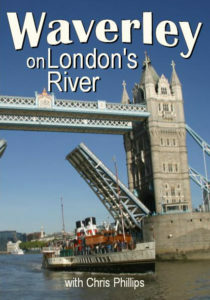 past and Waverley on her first Thames visit in 1978! Running Time approximately 56 minutes. 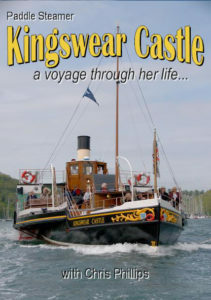 The definitive story of Britain’s very last coal-fired paddle steamer… Beautifully restored Kingswear Castle now sails once again on her native River Dart in Devon, England. In this programme we trace the steamer’s history from the 1920s, through her years on the River Medway to the ship today. Join Chris Phillips and maritime historian Richard Clammer to see the steamer’s restoration through historic archive footage and meet some of the people key to bringing ‘KC’ back to life. SIX Episodes. Total Running Time approx. 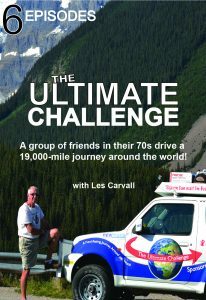 156 minutes (each episode average length of 26-minutes).